Lauren Clay, the David Smith Estate, David Dodde, and Fair Use: Are We Learning Anything? A pair of recent disputes over sculpture, fair use and moral rights highlights the ongoing concern that Prince v. Cariou has made things worse, not better. The first concerns the estate of sculptor David Smith, and sculptor Lauren Clay. 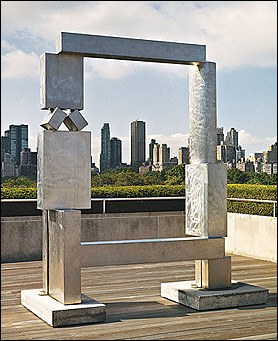 As Art in America put it, “Clay's works replicate the shapes of Smith's large metal ‘Cubi’ sculptures at tabletop scale in materials such as paper, and with faux wood grain or marble finishes.’ The Smith estate, through its reprsentatives at VAGA, took issue with this as a violation of Smith’s copyright. During the discussion, VAGA apparently proposed an agreement in which Clay would agree either not to sell the works, or only to display them with a disclaimer that the works were not authorized.